Cardinal Points Group has brought together a team of experts with first-hand knowledge and experience with the best practices in business transformation. Warren R. Turner began his career with Arthur Andersen & Co. in the mid-1980s, working primarily with publicly owned and privately held clients in the high technology, manufacturing, and distribution industries.In 1993, he left Andersen as an Enterprise Group Manager to join Dickens Data Systems, Inc., as its Chief Financial Officer and Senior Vice President. Over the next five years, he helped transform the company from a small high tech manufacturer to the leading IBM distributor of midrange systems, and, in 1998, he helped Dickens realize its exit strategy of being acquired by a large public company.As a Partner and founder of Cardinal Points Group, LLC, since 1998, he guides owners and executives of value-added technology resellers, distributors, manufacturers, and independent software vendors in business planning, strategy formulation (growth and exit, services transformation), organization structure, business measurements and controls, as well as finance. A passionate advocate of small- and medium-sized businesses, Warren has co-authored and developed several financial management courses for technology resellers and solutions providers. He has taught and shared his insights with thousands of technology resellers and solutions providers, both domestically and internationally. He was also the driving force behind IBM’s Business Transformation Initiative (BTI) that Warren authored and has taught globally to resellers. In 2000, Warren also founded www.andersenalumni.com (Andersen Alumni Association) which has become the largest social network dedicated to helping alumni and retirees of Arthur Andersen & Co, Andersen Worldwide, and Arthur Andersen LLP, reconnect and stay in touch. 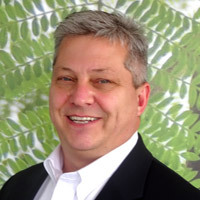 Kirk Hancock is an experienced finance, accounting and operations executive with nearly 30 years of progressive experience including Big 5 and industry executive management positions with publicly held, privately held and start-up companies. He focuses on consulting with technology companies and their channel partners, most often working directly with business owners and their senior leadership teams with a heavy emphasis on profitable growth and business transformation. Kirk served previously for more than 13 years as COO and CFO for Atlanta-based global consulting company North Highland, the nation’s largest independent management consulting company with offices in 21 cities in the U.S. and London and international partnerships throughout Europe and Asia. Prior to North Highlands, Kirk served in the broadband and telecom industries, the airline IT industry, the automotive manufacturing industry, and was an accounting manager at Arthur Anderson. 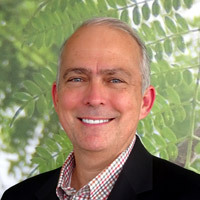 Kirk has a Bachelor of Science in Business Administration from Auburn University and has served in the Georgia Chamber of Commerce Education and Workforce Committee. Andrea’ (Dre’) Carkhum has a wealth of experience across a broad spectrum of business areas. She has held leadership positions in channel management and strategy, channel sales, business development executive, marketing, training and more. 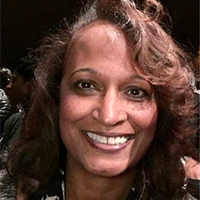 Dre’ spent over 35 years with IBM and then assumed the Director of Marketing role with NEC Corporation of America. She led NEC’s North America marketing team with responsibilities for direct and channels across all product lines. Dre’ led NEC’s digital marketing presence, conferences and events, demand/lead generation, social media as well as managing an inside sales team. Dre’ is a savvy business leader, with deep international experience and has managed teams across cultural and geographical boundaries. As a business consultant she has been a key contributor in helping her clients adapt Business Transformation Initiatives thus allowing them to improve operational efficiencies, customer satisfaction, improve employee attrition and increase overall business performance. She has been instrumental in creating innovative executive courseware for Fortune 500 companies and has successfully executed and deployed these leadership courses to over 3500 attendees in 30 countries. She is currently Managing Director with SCB Designs Inc. and works with them on creating learning and development solutions to improve employee performance. Dre’ enjoys working with people and helping them solve business challenges. Her hobbies include racquetball, photography, cooking, traveling and HGTV projects. We offer expert and established services in business planning, growth and exit strategies, organizational structure, business measurement and controls as well as finance support. Our success is proven; we’ve authored and facilitated a number of business transformation workshops for IT vendors and their leading partners representing numerous business lines, including IBM, Arrow Electronics, Ingram Micro, Cisco, Toshiba, HP, Juniper, Palo Alto, VMware, EMC SAP, Microsoft, Fujitsu, Nokia, Lenovo, Apple and Google.